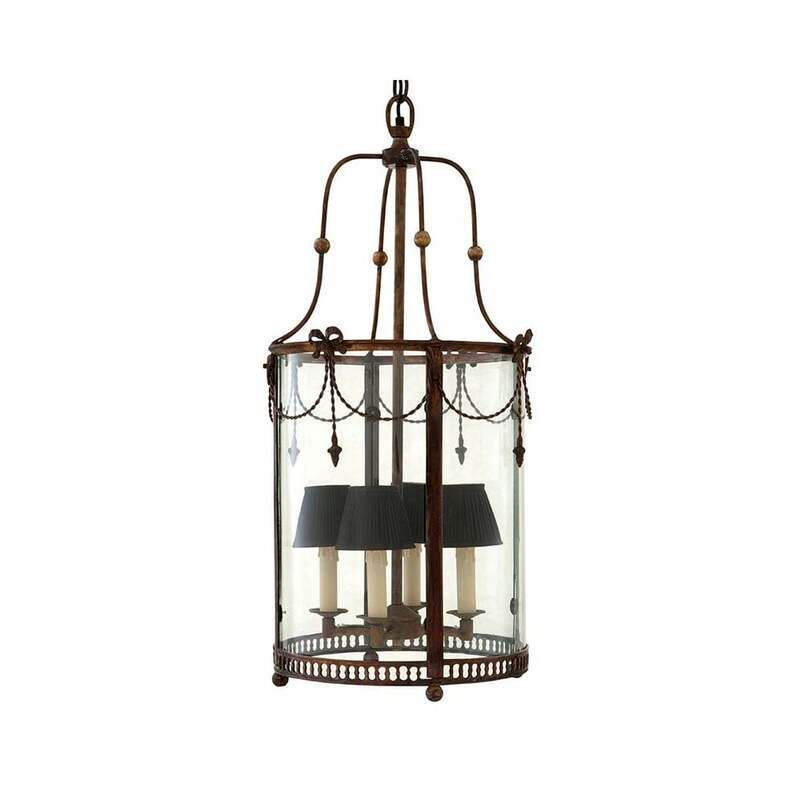 With a classic, turn of the century design, the Kleber Lantern by Eichholtz creates an elegant statement in an entraceway or hallway. Crafted in a distressed antique brass, the circular frame is embellished with ornate bows, metal spheres and intricate cutouts. This lighting style looks particularly beautiful within Georgian and Victorian townhouses where high ceilings, original flooring and spacious hallways are prevalent. Suspended by an adjustable chain, the lantern can be customised to suit your interior requirements. Please note: shades sold seperately. Make an enquiry for more information.